May 2010 | Tired, Need Sleep. I hope everyone is having a very pleasant Memorial Day! No Art Box today (or last week – oops! ), but I do have some fun posts scheduled for the coming days, so stay tuned! Do you know Angie Kauffman? She is the founder of no less than 3 blogs: Many Little Blessings, The Homeschool Classroom, and Catholic Mothers Online; as well as the co-founder of Homeschool Lifestyle Media. 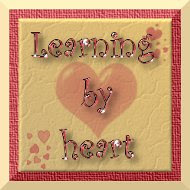 I really enjoy reading her blogs; she’s a homeschool mama and has tons of inspiring ideas. She recently published an e-book titled Finding Educational Activities in the Most Unexpected Places. She was kind enough to send me a free copy to review, and I loved it! I’ve gathered a lot of great (and simple) ideas from this book that I hope to use with M in the weeks to come. Three activities in particular that grabbed my attention, and that I know M will enjoy are an egg-carton train craft, a cardboard tube rocket ship craft, and a playhouse for small dolls (or action figures as the case may be… and is in this house) made from an old box. There were many ideas that I know I’ve seen around the internet in one form or another, but it’s so great to have them all in one easy-to-refer-to spot, and there were many, many ideas that I haven’t come across anywhere else. This is really a fabulous resource for families with small children. Your children will be having fun and you’ll know they are developing much needed skills. The activities described in this book help develop fine and gross motor skills, hand-eye coordination, social interactions, daily living skills, cognitive skills, spatial awareness, and imagination to name a few. If you order your copy of this book before May 31st you can get a discount of 20% by using code TNS20! I recently received this little game book from Tyndale House Publishers. It is full of jumble puzzles based on the Bible. I think this would be a great companion to any home Bible lessons you may do with your children (it would be perfect for ages 8 to 12). It’s sure to be a lot of fun, and it helps reinforce what they’ve already learned. What a wonderful way to spend time together as a family! There are a total of 200 jumbles in the book. Thank you to Tyndale House Publishing for providing me with a free copy of this book to review. Most likely you have heard of CSN Stores. They have thousands of items to choose from, in over 200 websites,and all are very reasonably priced! Check out this bathroom vanity and all the great furniture and toys they have! Stay tuned, there are going to be some very exciting things ahead! My old templates for this activity have bugged me since I made them. There are missing lines and they just didn’t look as nice as I wanted them to. Of course I made them in a hurry, finishing them in the middle of the night if I remember correctly… so maybe that had something to do with it. Anyway, since I’m in the middle of transferring all my printables from Google Docs to Scribd, I thought I’d update these little guys in the process. Go here to see the new version. The old version is still out there, but in my opinion the new ones are much better. I did forget about “W” (how can I forget a letter? Is this a sign I should not homeschool?! ), so if you use these, you’ll have to print 2 “M”s. :) I didn’t realize this until I’d already turned it into a .pdf file and deleted the original. I’m working on some lowercase letter templates too and will have them posted as soon as they are done. Making these is trickier than you’d think! We bought some new Crayola watercolor paints over the weekend, and M is in love with them. They are so bright and vivid… I was sure we’d tried Crayola in the past and they weren’t that much better than the Roseart ones we’ve been using. I don’t know – maybe they changed up their recipe or something, because these are really beautiful watercolors! It’s all he wanted to do all week (art-wise). I’ve been trying to have a morning activity ready for M when he wakes each day. If I don’t he wanders around whining “what can I dooooo?? ?”, and at that time of day it can be a very dangerous thing to whine anywhere near Mama. It’s a basic sink or float activity, and he had to guess what each object would do before he placed it in the water. He was right about 95% of the time. This idea came from this post at The Wonder Years. Next time we do this (and I’m sure we will be doing this again), we’ll do some sort of graphing activity… floats/magnetic, floats/non-magnetic, sinks/magnetic, sinks/non-magnetic… is what I’m imagining. This time he just sorted them into a pile of magnetic things and left the non-magnetic things in the water. Check out Science Sunday for more kids’ science! Little Bear’s Visit, by Else Minarik: I just can’t say enough good things about these Little Bear books – they are even better than I remember from when I was a child! In this one Little Bear visits Grandfather Bear and Grandmother Bear, and gets a story from each one. One story is about when Mother Bear was little and made friends with a little robin. The other story is about a gremlin who has magic shoes. :) M asks for this every day at least once. It’s quite long – 4 chapters – and he sits for the entire thing, even the 2 pages where there are no pictures! This is being linked to Mouse Grows, Mouse Learns, and Feed Me Books Friday. Check out both of these great sites for more book recommendations! A close up of her treasures, which she insisted on bringing home with her (much to my brother’s delight, heh): I uploaded our scavenger hunt chart and you can find it here, if you think you’d like to use the same one. It was a big hit! I found these at a thrift store and at first glance I thought they were Cuisenaire rods. However, once I got them home and took a look at them… well, I’m not sure what they are or what to do with them. Each single block unit is 1/2 inch. The rods go from 1 unit up to 12 units, and apparently we don’t have a full set. There’s only 2 8-unit rods, and only 1 10-unit rod. Sigh. Any ideas how we can use these? Or, does anyone know what they are? They are not the traditional Cuisenaire rod colors either. I let M just play with them and explore them the first time I set them out. I showed him how to create some designs, like a house and a stair (the stair was useful for showing the relation between the rods from shortest to longest). I hope everyone had great weeks! I’m linking this up to Preschool Corner and Weekly Wrap-Up. Be sure to go check them out! To be honest, I had some difficulty really getting into this book. The beginning is set against a very promising backdrop - a grandfather dying and a family with too many secrets reuniting at the old family home as he passes away. However, it's pretty slow-moving through the entire first half of the book, and I was often left wondering where, if anywhere, the story was going. It seemed to me that the author tried to set up too many mysteries among the family members, without bringing half of them to any sort of resolution. The last few chapters were satisfyingly action-packed and I couldn't turn the pages quickly enough, but truthfully getting there was painful and there were several times I was tempted to not bother finishing it at all. I have read my share of complicated and detailed novels that take some time to get into, but are well worth the wait; unfortunately I can't include Hunter's Moon in that group. Thank you to Bethany House Publishers for providing me with a free copy of this book to review. M has been doing this forever and somehow I’ve never posted about it. This was something he discovered completely on his own! We had a set of 6 chunky markers and he left them out for several days without their lids on. Of course they were completely dried out by the time we realized it. This happened about a year ago, and he still has, and uses, the same markers! His easel has a spot for a cup of water (for watercolor painting obviously), and one day he filled it up with water, dipped his dried markers in the water, and began drawing with them like nothing had happened. I think I’ve read somewhere that you can use dried markers this way, but I have no idea how M knew it! He has made some really neat artwork in this way… kind of like regular marker drawing with a bit of watercolor painting here and there. Again, he’s been doing this for the past year and the markers are still working great (as long as they are wet). As a final (whew!) bird-related activity, we did a little experiment to show how air pressure works using two balloons. The way birds are shaped and the way they move their wings causes the air to move more quickly above them. Quicker-moving air = less air pressure, so the air beneath them exerts the greater pressure and keeps them aloft! To demonstrate that fast-moving air lowers air pressure, I blew up two small balloons, tied a length of yarn to each one and then hung them from our sofa table so they were level with one another. You want them to be about 3 inches apart. Ask your child to think about what will happen to the balloons if he blows a straight line of air between the two of them. When we blow directly on an object it moves away from the force of air, so it makes sense (sort of) that the balloons would move apart. M was sure they would get “wider apart”, as he put it. You can do this with a strip of paper that you hold near your bottom lip – blow air directly over it and it should rise. Or try two cardboard tubes on a table side by side with an inch of room between them; use a straw to blow air directly between them and watch them roll towards one another! For more science fun with kids, go see Ticia’s Science Sunday posts! Edward and the Pirates , by David McPhail This was recommended to us by Kim at Educating Crumpet. She thought M would enjoy it and she was right! It has enough adventure and excitement (like Edward’s mom riding into his room on a white horse – really can a book get any more interesting or exciting than that?) without being frightening at all. Edward can read and the pirates can’t, and this has sparked some sort of small flame in M – he is “reading” a lot lately (meaning books he’s memorized… I’m one of those moms that doesn't want my child to be reading on his own at 3, not that there’s anything wrong with that if you do. ;) ). It’s a fun book and one I’m glad we got! The Moon Might Be Milk , by Lisa Shulman This one was listed a week or two ago at Mouse Grows, Mouse Learns. We found it at the library and M wants to read it at least a couple of times a day. I’m not sure what is so fascinating about this book (it’s cute, but nowhere near the top of my list), but he really loves it! The little girl and her animal friends are trying to decide what the moon is made of… flour? milk? sugar? butter? egg? Turns out, it’s made of all these things when her Grandmother uses these ingredients to make moon cookies. It gets my mouth watering every time and I think we’ll be trying the recipe that’s included sometime soon! I’m linking this up to Mouse Grows, Mouse Learns, and to Feed Me Books Friday.